Zaheer Khan (born 7 October 1978) is a former Indian cricketer who was the member of the Indian national cricket team from 2000 till 2014. He also played for Worcestershire in County Cricket and played for Mumbai and Delhi Daredevils in Indian domestic cricket. He was the second-most successful Indian pace bowler in Test cricket, behind Kapil Dev. Khan started his domestic career by playing for Baroda. In the early years of his career, Khan was known for his hostile seam and pace bowling, especially fast inch-perfect yorkers. In a bid to improve his bowling, he moved to England for a short stint with Worcestershire in 2006. A left-arm fast-medium bowler, Khan was best known for his ability to "move the ball both ways off the wicket and swing the old ball at some pace". Khan continues to excel in reverse swing with the old ball. He is praised for his performances on flat subcontinent pitches and the controlling of different types of cricket balls. He was one of the key members of the 2011 ODI World Cup winning team, leading the pace attack with 21 wickets in just 9 games. In 2011 he was conferred with the Arjuna Award, India's second highest sporting award by the President of India. Khan's career is also noted for recurring injuries, which often interrupted his progress at the international level. That is also the reason Zaheer has set up ProSport Fitness & Services, a special rehab & training center in association with Adrian Le Roux and Andrew Leipus. Zaheer Khan was selected as one of the Wisden Cricketers of the Year in 2008. Zaheer Khan announced his retirement from international cricket in October 2015. 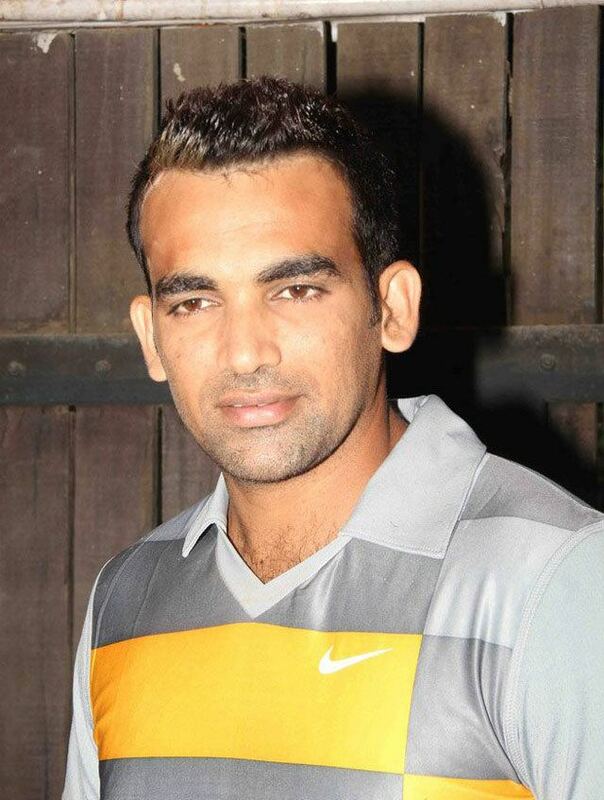 In Indian domestic cricket, Zaheer made his name playing for Baroda. In the 2000/01 Ranji Trophy final against Railways, Zaheer was Man of the Match with eight wickets, including a second innings haul of 5/43, in Baroda's narrow 21-run victory. He transferred to Mumbai at the start of the 2006-07 Indian cricket season his debut for Mumbai until the final of the Ranji Trophy in which he took 9 wickets as Mumbai defeated Bengal. In 2005 Zaheer signed for Worcestershire County Cricket Club in England as one of their two overseas players, replacing Shoaib Akhtar. Although Worcestershire went on to lose the match, Zaheer took ten wickets against Somerset on debut; in doing so he became the first Worcestershire player to take 10 wickets on debut for over 100 years. In June he took the first nine wickets to fall in the first innings against Essex, ending with 9–138; had wicket-keeper Steven Davies not dropped a catch offered by last man Darren Gough he would have become the first bowler ever to take all ten for the county. 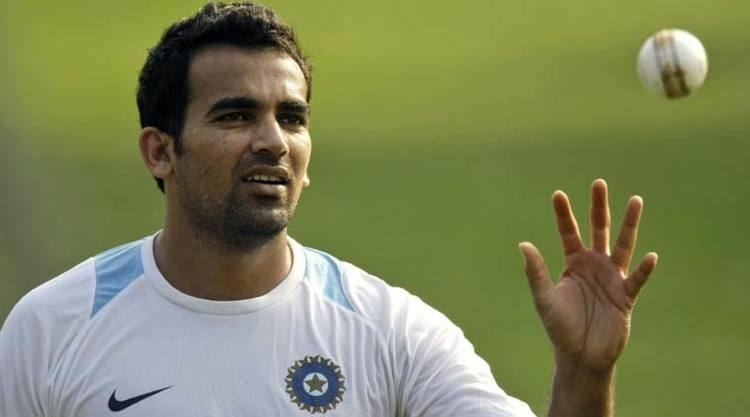 Late in 2006, Zaheer was recalled to the Test and ODI team for the tour of South Africa, following Irfan Pathan's slump in form and an injury to Munaf Patel. After consistent performances on tour, his performance in early 2007 in home ODIs against the West Indies and Sri Lanka, including a career best 5/42, saw him named in the squad for the 2007 World Cup. Zaheer was the mainstay of Indian bowling attack during the side's victorious 2011 World Cup campaign. He was the leading wicket-taker in the tournament, joint with Pakistan's Shahid Afridi on 21. He is 5th in world and leading Indian wicket taker in a world cup along with Javagal Srinath (44 wickets) but Zaheer has achieved this feat in only 23 matches while Srinath has taken 34 matches. Zaheer has taken 311 Test wickets at an average of just over 32 runs per wicket. South African star all-rounder Jacques Kallis was Zaheer's 300th test wicket. In 16 matches from the beginning of the tour of West Indies in April 2002 to the end of the 1st match against Australia in December 2003, Brisbane, Zaheer took 54 wickets from 16 matches at an average of 30 runs. It all turned downhill after the first Test against Australia in Brisbane in December 2003. Having taken 5 of the top 7 Australian batsmen in the first innings (5 for 95), he injured himself in the second during the opening spell. After missing the second Test he returned for the third, but was injured midway through the match and was forced to return home. The injury kept him from the early 2004 tour of Pakistan, India's first Test series victory in the country. Earlier, Zaheer held the world record for the highest Test score by a number 11 when he scored 75 against Bangladesh in 2004. At the time he was batting with Sachin Tendulkar; the pair amassed 133 runs, a new record for India's tenth-wicket. This record was broken by Tino Best of the West Indies in 2012. The current record holder is Ashton Agar of the Australia on his debut match in 2013. Zaheer Khan announced his retirement from international and first class cricket on 15 October 2015 in a tweet saying "I bid adieu to my career in international cricket. I look forward to signing off with IPL 9." Khan has played the Royal Challengers as well as Mumbai Indians before he was picked for the Delhi Daredevils in the 2015 auction. He has captained the Daredevils in 2016 and 2017. In 2017 season, Zaheer became the 10th bowler in the history and 8th Indian bowler, to pick 100 wickets in Indian Premier League. At the age of 38, he is the oldest player to achieve this feat. Man Of the Match Award 5 times. Man Of the Series Awards 3 times. Man Of the Match Award in 6 times. Man Of the Series Award 1 time. Arjuna Award winner-22 July 2011.